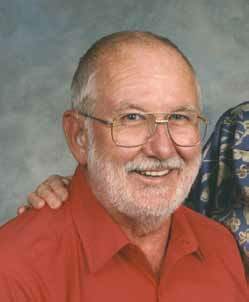 Born November 24, 1934, Ray died suddenly at home on January 4, 2012. He was a beloved husband for 56 years to Catherine Elliott (née Hannah), and a loving and devoted father to Paul (Twyla), Janet (Heinjo), Claire (Graeme), and Andrea (Stuart). Ray was also grandfather to seven very special grandchildren, aged six to 22 years. Ray is survived by his older brother, Victor. Ray graduated from the Faculty of Commerce at UBC in 1961. In the early 60s, he held positions within the Government of Alberta, and retired in 1996 from Corporate Properties at the City of Calgary after 25 years of service. Ray cared deeply about social and environmental issues, and was actively involved with Friends of Medicare, the Council of Canadians, and the Calgary Field Naturalists Society. He was also a lifelong learner and took pleasure in a wide variety of activities, including aviation, scuba, scouting, silver-smithing, Biblical scholarship, bird watching, travel, and outdoor activities of all kinds. Ray volunteered in the community his entire life, including volunteering for the fire department in Delta, BC, the North Haven Community Association, Scouts Canada, and the Summer Village of Ghost Lake.